A landlord in London, Ontario was forced to call for reinforcements after his tenants went on a two-week vacation leaving their three-month-old puppy locked in the bathroom. The puppy was rescued and relocated to a new home. The tenants are legally banned from owning another pet for quite awhile. Still, the case does little to encourage landlords to accept pets at a time when a tight rental market with very few pet-friendly options has many animal owners abandoning their pets at local shelters in order to avoid homelessness. The majority of tenants want pets. By allowing pets, you broaden your pool of potential rental applicants. You might just be an animal lover yourself, and want to help keep these pets out of shelters. On the reverse side, there are risks involved in allowing pets, and it’s understandable why landlords would be wary. With some planning, however, many of those risks can be reduced or eliminated. The best way to avoid damage from tenants’ pets is to learn how to screen tenants with pets. The secret is to focus more on the people, and less on the animals. For instance, experts suggest that a pet policy that limits the number, size, weight or breed of the pet will do little to reduce problems. A big dog can be very gentle. Two big dogs may keep quiet all day in one another’s company. Use your rental application and interviewing skills to determine whether the applicant is a responsible pet owner. While it’s important to know the pet’s physical description, it’s more relevant to explore the owner’s level of experience. 1. Landlords cannot predict what every tenant will do, but they can guide the process by looking for responsible pet owners. A responsible pet owner will be comfortable answering questions about the pet’s background, and about the pet’s daily routine. Questions like, “What will you do when you go on vacation?” or “How often does your dog need to be walked?” should not be met with a blank stare. 2. By going through the screening process and by reading the landlord’s pet policies, tenants become educated on what will be required to keep their pets safe — and their landlord and neighbours happy. 3. There may be something to the philosophy ‘if you can’t beat ’em, join ’em’ when it comes to pets. While it may seem defeating, there are some jurisdictions where landlords cannot evict tenants just because they violate a no-pets policy. Even if tenants deny they have pets on the rental application, they may acquire pets afterwards. Including some basic rules for pet ownership in the lease agreement, rather than relying entirely on enforcement of a “no-pets” policy, ultimately may be the safest route. 4. Pet ownership is regulated by law, and tenants should be held to those standards. 5. 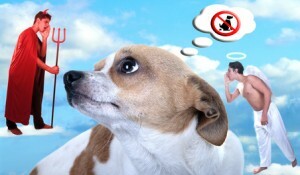 Try to restrict pet ownership to those animals that are pre-approved. It may be helpful to explain to the tenant that a hidden pet will be endangered if workers enter the unit, or in the case of an emergency because no one will know to rescue the pet. 6. Whenever you screen tenants, speak with previous landlords. Find out if the tenant had the same pet, and whether there were any problems.